Bucharest has a lot to offer this weekend, and we’ve prepared a guide for the best events that you should check out in the following days. CreativeFest is the biggest urban art and culture festival in Bucharest, currently at its fifth edition. Entry is free of charge! 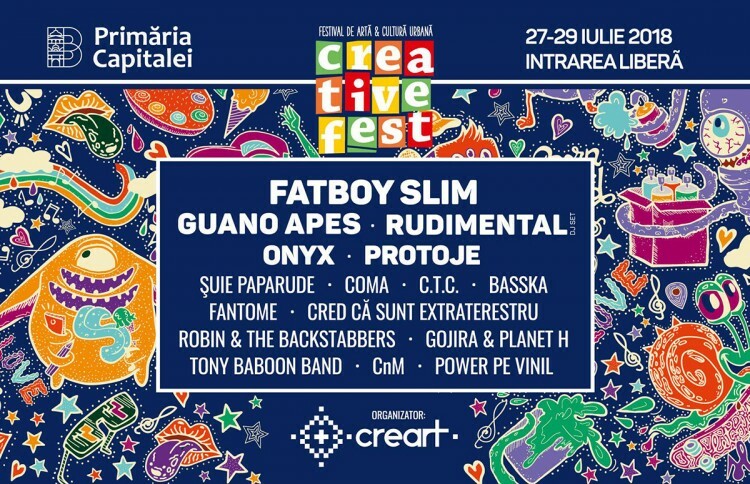 You’ll be able to enjoy concerts by major bands like Fatboy Slim, Guano Apes, Rudimental (DJ Set), Protoje & The Indiggnation, ONYX, Suie Paparude, Coma, CTC, Robin and the Backstabbers, Gojira & Planet H, Cred ca Sunt Extraterestru, Basska, Fantome, Tony Baboon, CnM. Besides concerts, CreativeFest features urban art exhibitions, graffiti and freestyle, skateboard and bike stunts, a food court and many other activities. 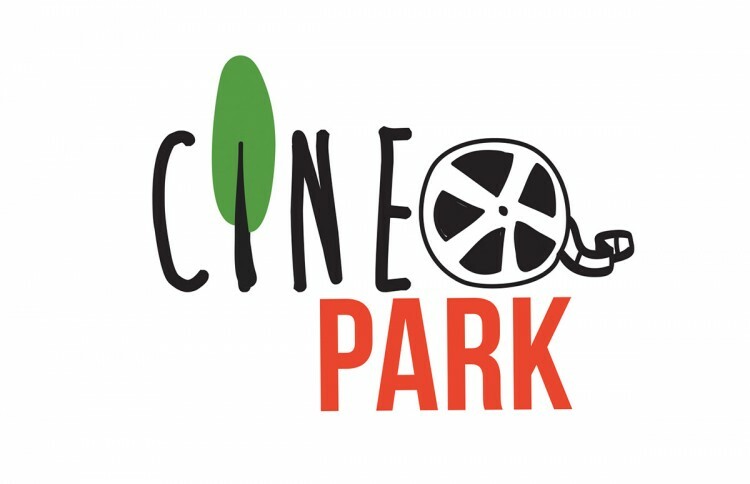 At its sixth edition, the CineParK outdoor cinema series includes over 20 quality films that will be projected from Thursday to Sunday between 6:30 pm and 10:30 pm, including Life of Pi, Interstellar, Eternal Sunshine of the Spotless Mind, Joy, 500 Days of Summer, Jack Ryan: Shadow Recruit, The way, way back. There will also be special films for children, including: Wall-E, Ferdinand, The Book of Life, We bought a Zoo, Brave, Wreck-it Ralph, Khumba, Big Hero 6, Coco. This year will also bring Romanian films to the event for the first time. You’ll also find a Food and Drinks area during the film projections. 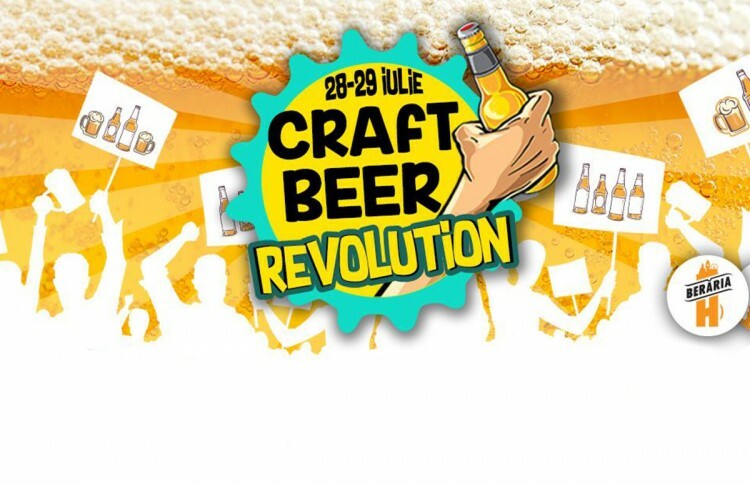 Beraria H has prepared another special weekend event, this time with craft beers from all over Romania. Brands include: 1717 Bere Artizanala, Amistad BEER, Artizanii berii, Becker Brau, Bere artizanala Sikaru, Capra Noastră, Carol Beer, Cazino Craft, Harvester Cider, Bere Nemteana, One Beer Later, Patos Beer, Zaganu and many more. The beer will be accompanied by live concerts and great food. 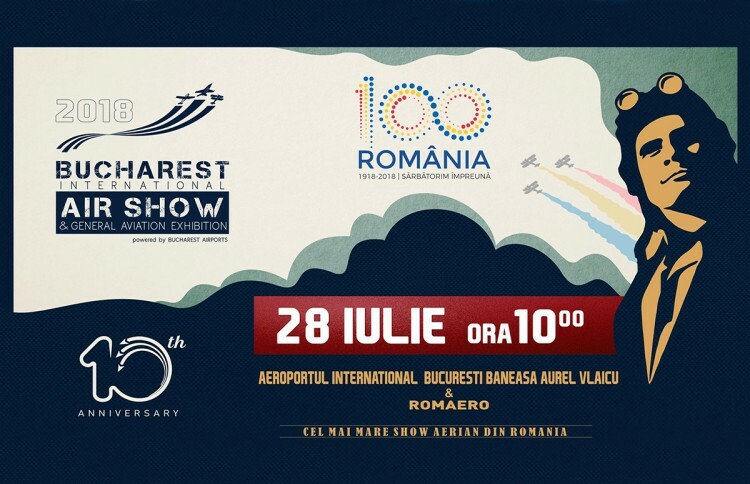 The tenth edition of the Bucharest International Air Show & General Aviation Exhibition is dedicated to the Romanian Centennial. Exhibitions will take place between 10 am and 9 pm, and they will end with a fireworks show and a concert by the Zdob si Zdub band. Entry is free. 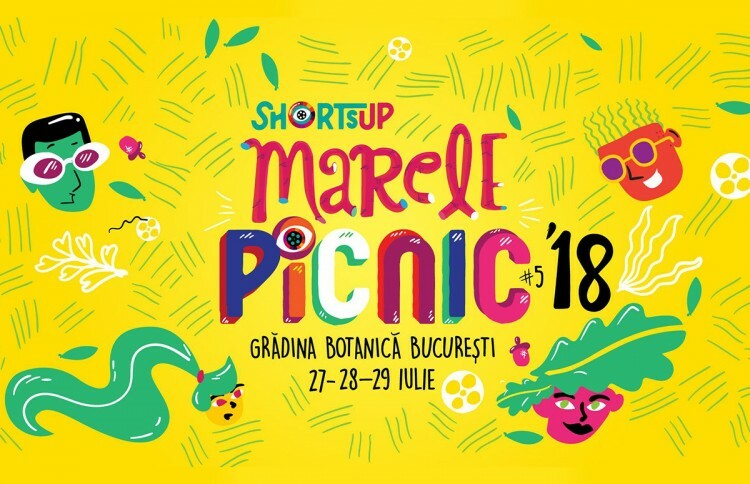 This will be the fifth edition of the ShortsUp Picnic, with three afternoons and evenings full of surprising and clever short films which you can enjoy in a friendly outdoors environment. Besides the short films, the festival will also feature street food, guided tours through the Botanical Garden, hammocks, slacklining, frisbee and hoola hoops games, music and video-mapping. The post Events you shouldn’t miss this weekend in Bucharest – July 27-29 appeared first on Business Review.